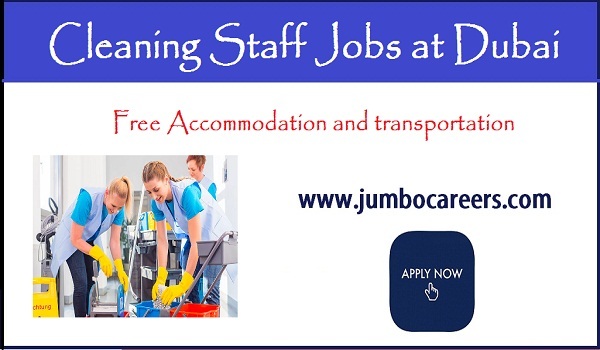 A leading Facility management company in Dubai urgently requires cleaning Staff. Urgently looking for Female Cleaners from . Salary – 1100 AED, Duty – 10 + 1 HRS. Accommodation and transportation provided. Other benefits as per UAE labor Law. Candidates should be available in UAE on Visit Visa. IMMEDIATE JOINING. Remarks : This job is through a job consultancy and not posted directly by the company.